Australia on Tuesday announced their 15-man squad for the Pakistan Tests that gets underway next month. In the absence of Steve Smith, David Warner and Cameron Bancroft, they have given call-ups to five uncapped players. Finch’s first-class form for Victoria over the last three domestic seasons has been decent – 1278 runs in 19 matches for an average of 41.22 – but it is his excellent run in white-ball cricket for Australia in 2018 that has helped push break into the Test squad. In 17 international matches this year, Finch has scored 900 runs at an average of 69.23 and strike-rate of 132.15. In ODIs this year he has hit three centuries, while in T20Is he has a world record 172 and two fifties. 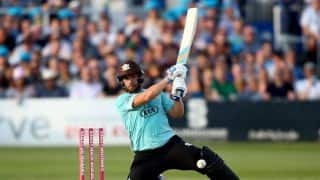 Playing T20s for Surrey in England, Finch slammed 589 runs in nine innings at a strike-rate of 182.35, with two centuries and three fifties in the Vitality Blast, the most by any batsman. He has not featured as regularly for the County Championship Division One runaway leaders in as many first-class matches, with 77 runs in two games with a best of 43, but his endorsement as a Test cricketer has come from high places. Finch, 31, has scored 4957 runs for Australia in limited-overs cricket without earning a Baggy Green, which stands as the record for most international runs scored without playing Test cricket. South Australia captain Travis Head has played 39 ODIs and 16 T20Is since making his debut in January 2016. He’s a top-order batsman and has 1258 runs with one century and 10 half-centuries in ODIs. The 24-year-old staked his claim after impressing with Australia A in their ongoing tour of India. His 87 runs in Australia A’s second innings of the first unofficial Test were vital in setting India A a tricky target of 262 which culminated in a thrilling win. He has played 69 first-class matches and scored 4476 runs at an average of 36.09. 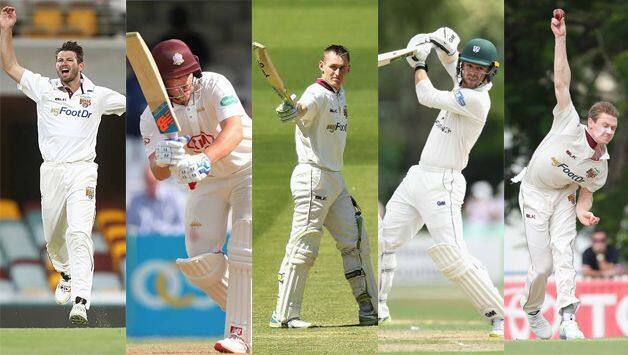 He was the sixth highest run-getter in Australia’s JLT Sheffield Shield scoring 738 runs at 46/12. Labuschagne, a middle order batsman, was born in South Africa and his family emigrated to Australia in 2004. At 20, he made his first-class debut in 2014 and has since played 34 matches, scored 2147 runs and averages a modest 35.19 with four centuries and 13 fifties. His claim to fame came after he became the first player to be penalised under the fake fielding in September 2017 during a JLT Cup match. He’s part of Australia A team that is in India for an unofficial Test series. In the first match, he scored 60 and 37 across the two innings in Bengaluru as Australia A beat India A by 98 runs. Allrounder Neser is the second South African-born uncapped player in the 15-man squad. His family moved to Australia when he was 10 and made his ODI debut earlier this year against England at The Oval. A right-arm pacer, he has an experience of 32 first-class matches with 96 wickets at 29.43. He has also scored 1029 runs with six half-centuries. His 4/61 limited India A’s lead to just 31 runs after Australia A were bowled out for 243 in their first innings of the first unofficial Test last week. He represents Queensland in Australia’s domestic circuit and has played for Adelaide Strikers in the Big Bash League and also played one game for IPL franchise Kings XI Punjab in 2013. Brendan Doggett has been fast-tracked into Australia setup having played just eight first-class matches (31 wickets at 28.19) so far. Making his debut for Australia A earlier this month, the 24-year-old pacer impressed with match figures of 3/99 as he troubled India A with flurry of bouncers. In the absence of first-choice pace duo of Josh Hazlewood and Pat Cummins, both nursing injuries, he received a maiden national call-up. He made waves after taking 28 wickets from seven Sheffield Shield last season for Queensland. In the final, he picked up five wickets with the Bulls sealing a title-victory. 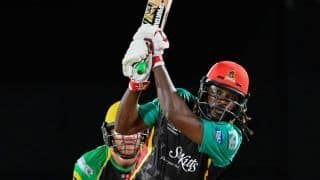 Should he make his debut in the UAE, he’ll become just the third Indigenous cricketer to play in a Test for Australia after Faith Thomas and Jason Gillespie.